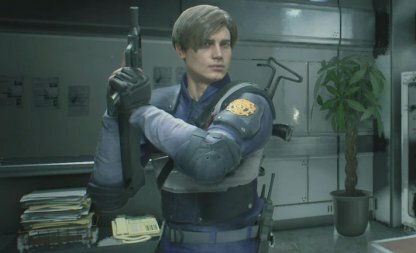 Check out the list of costumes you can get in Resident Evil 2! Learn about all the costumes items, how to get them, and more in this guide! 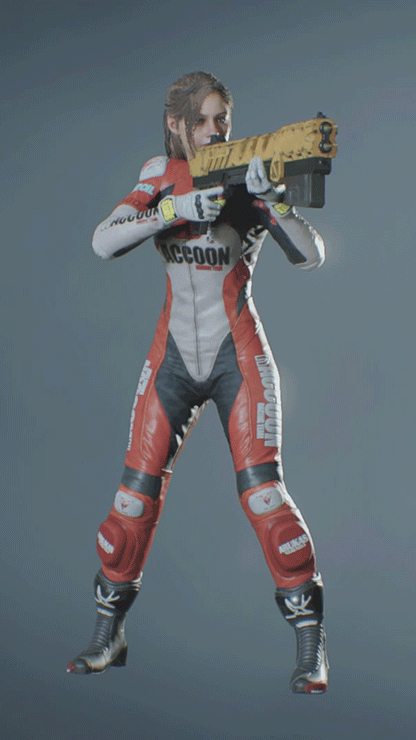 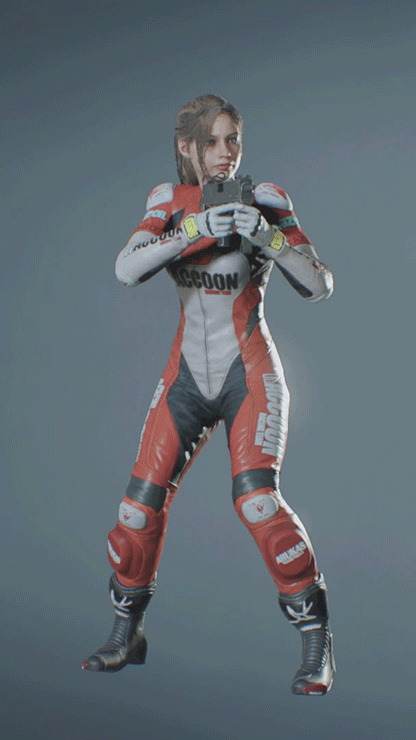 One way to get costumes is through the Extra DLC Pack. 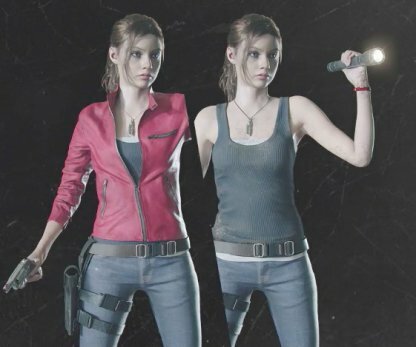 The Extra DLC Pack was released on the same day as the game, giving you options for different attire for both protagonists. 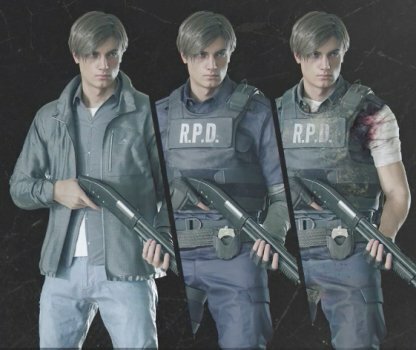 By completing the story for either Leon or Claire will unlock their "classic" alternative attire, designed after the gears each of the protagonists wore back in the 1998 original Resident Evil 2. 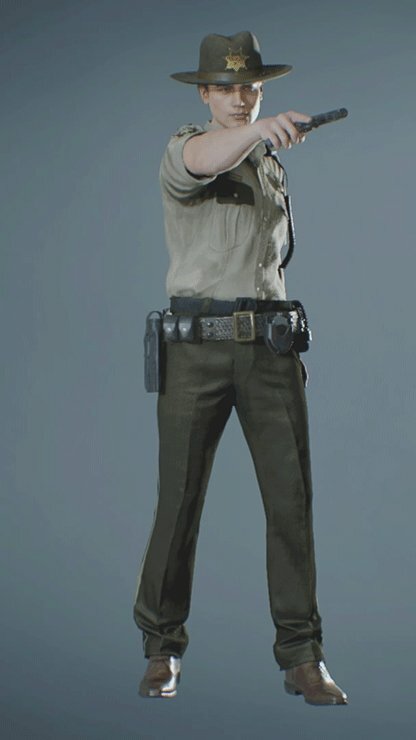 The ARKLAY SHERIFF Costume pays homage to the "Arkley Mountains" stage from the original Resident Evil game! The getup of the Arkley Mountain's sheriff gives a certain vibe of the "other" popular zombie franchise. 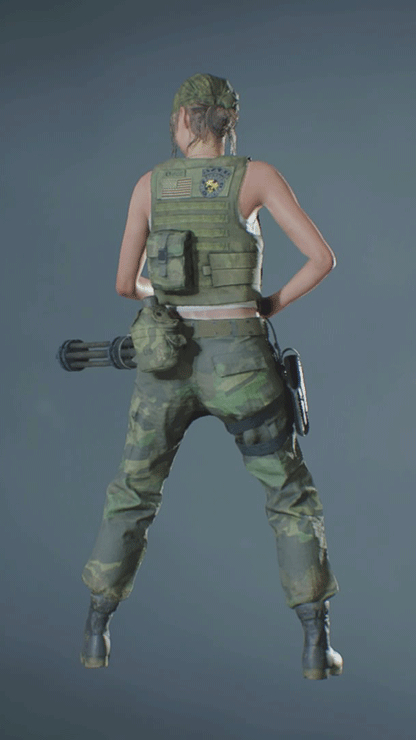 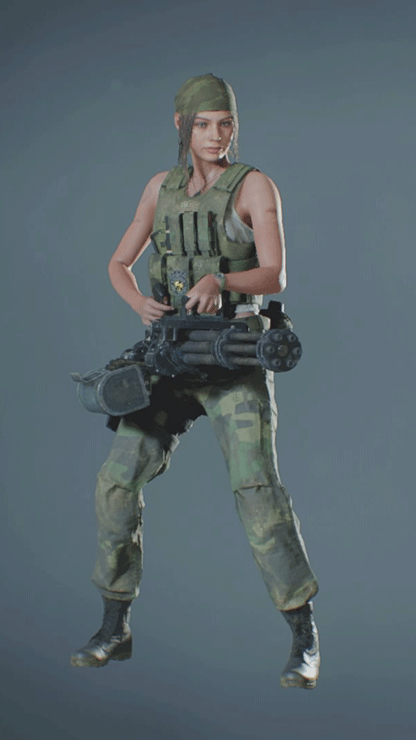 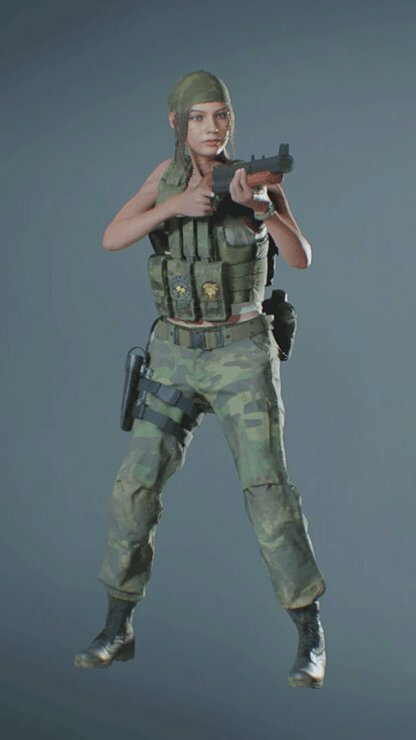 Claire's Military Costume has her equipped with various military equipment, such as a military vest and weapons. 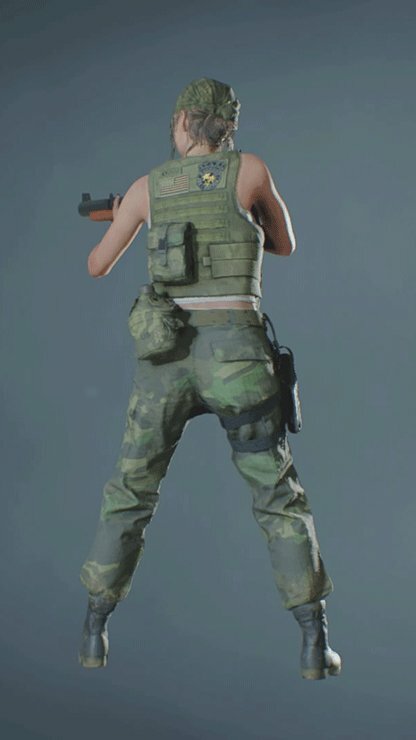 This is recommended for those who want to have a more survival feel when playing. 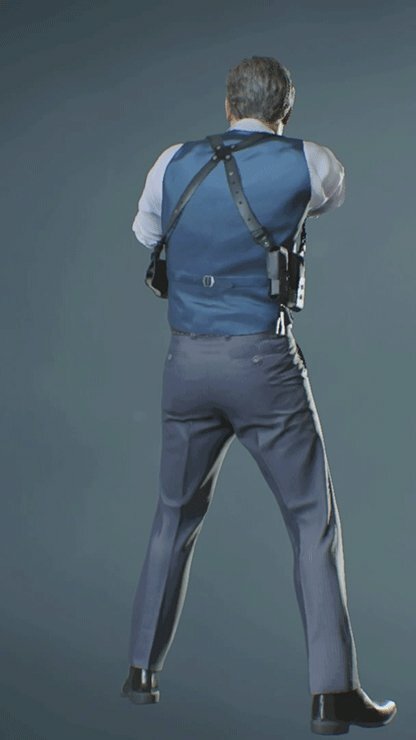 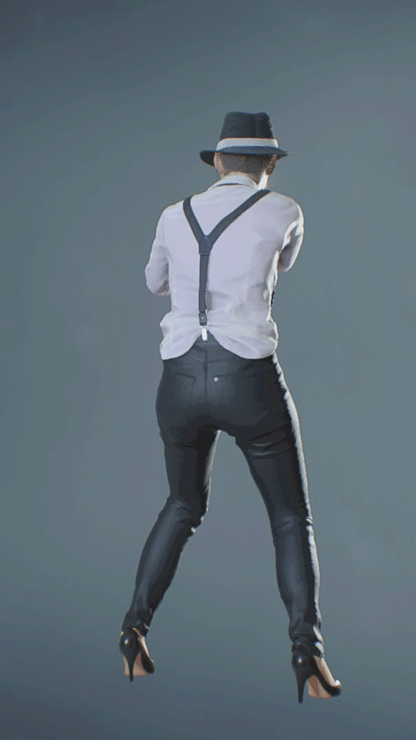 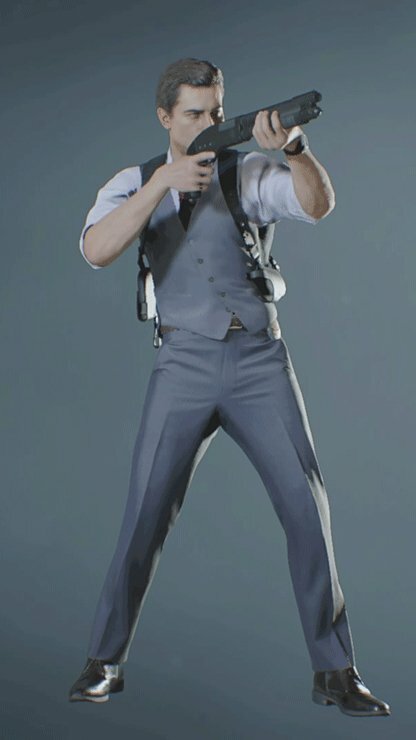 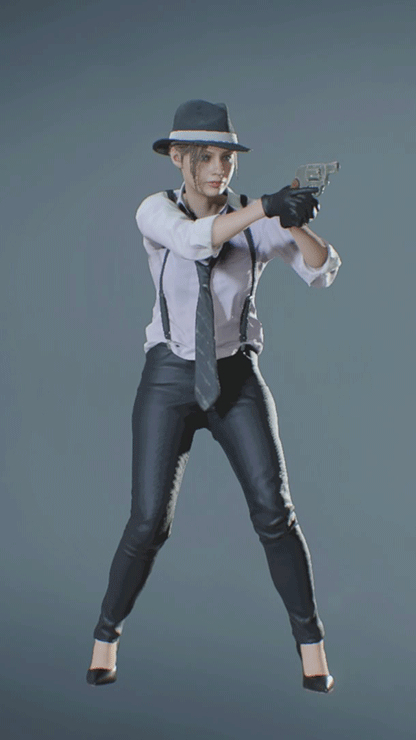 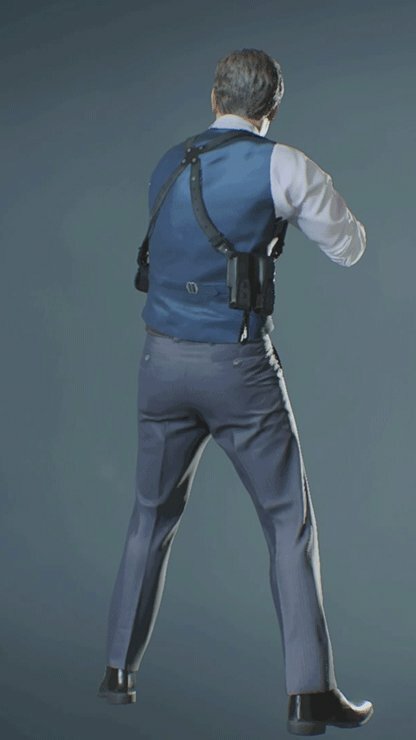 The NOIR costumes puts Leon and Claire in a more dated, but still very stylish outfits. 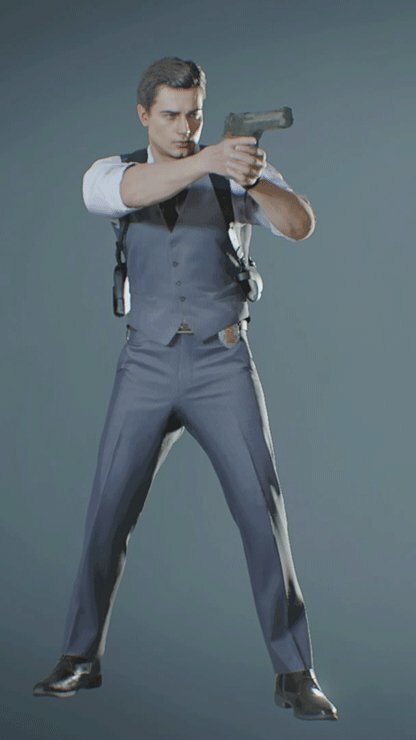 Using the NOIR costumes will also give players the option to add a Noir filter to the game, similar to that of black and white movies. 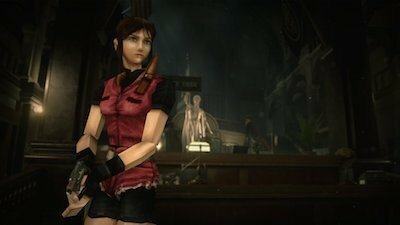 This costume is based on the initial female protagonist of Resident Evil 2, Elza Walker. 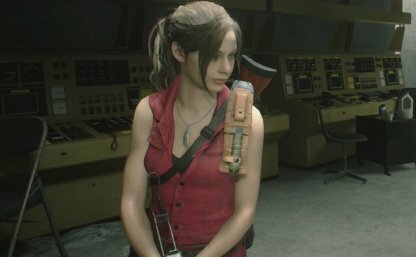 This is a great nod to the Resident Evil franchise, perfect for fans highly familiar to the series. 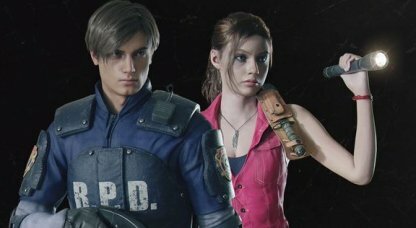 These alternative costumes for Leon and Claire are based off the design of their original attire worn in the '98 Resident Evil 2. 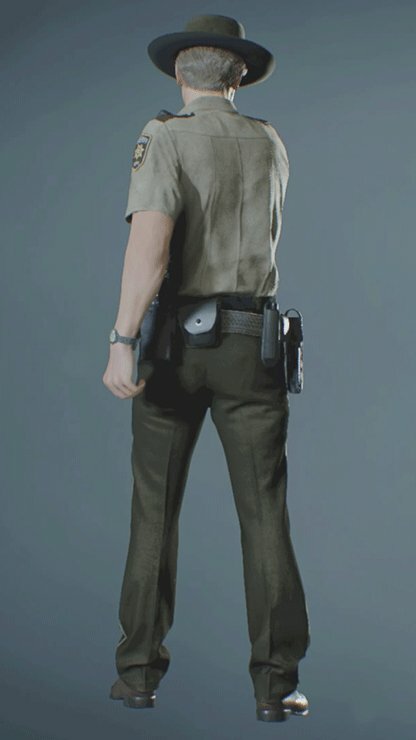 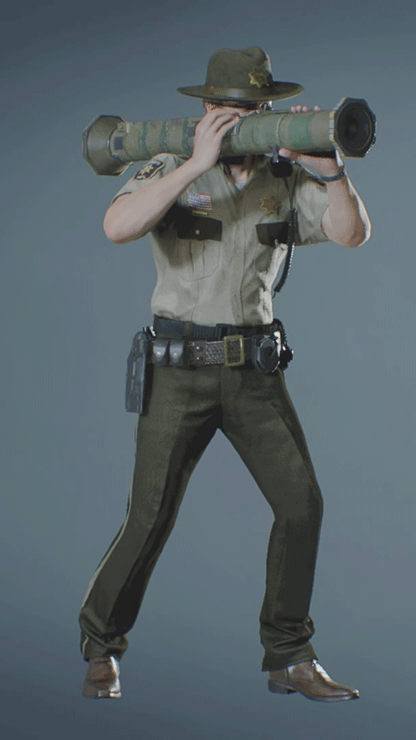 Leon will be equipping his original Police attire with oversized shoulder pads, and Claire will have her leather tank tops. 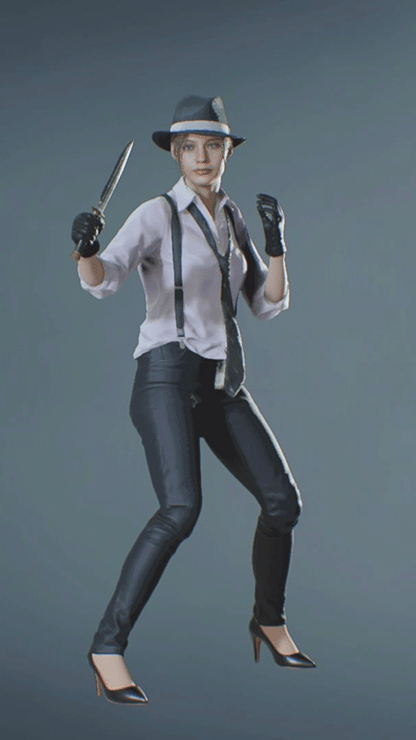 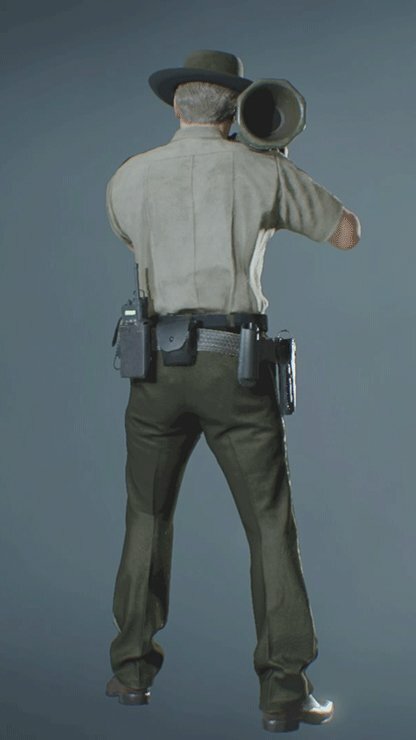 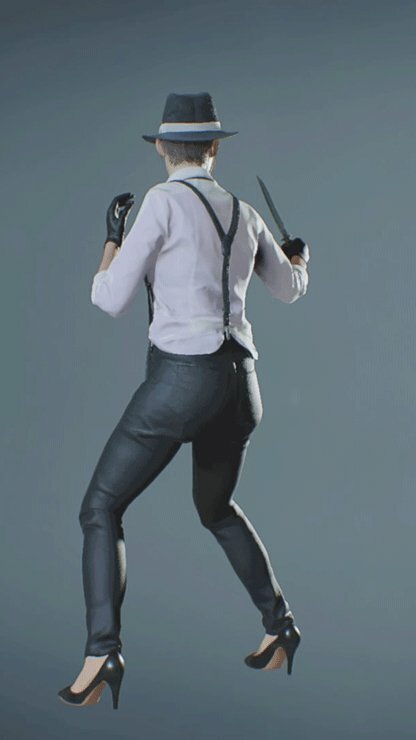 Normal Custom costumes for Leon and Claire are simply their default costumes, but now you can select which appearance such as Leon being injured, or Claire having her jacket off, regardless of how far you're in the story. 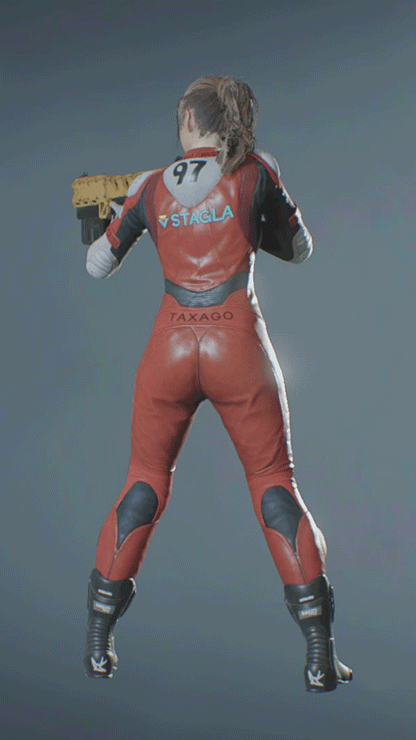 A blast from the past. 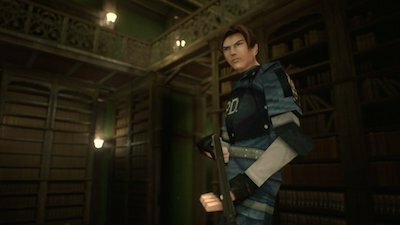 The Classic 98 costume not only puts Claire and Leon in their old outfits, but also changes their model to their polygonized glory, how they used to look like in the '98 original release of Resident Evil 2.